The UK arm of internet shopping giant Amazon received more money in government grants than it paid in UK corporation tax in 2012, according to its accounts. 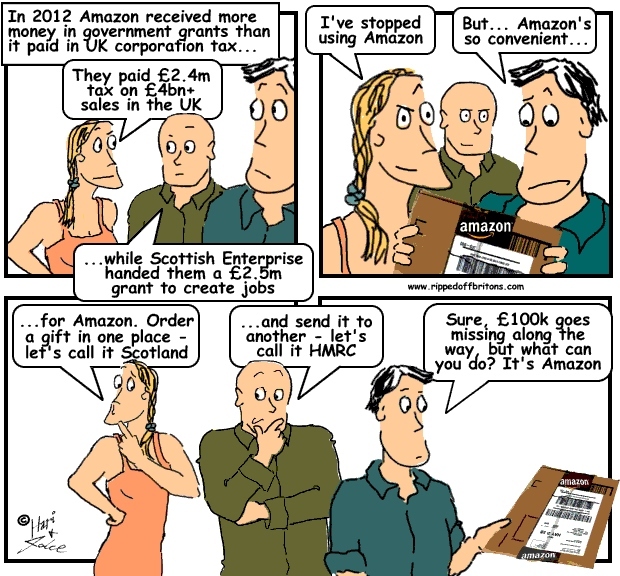 Amazon's UK subsidiary paid £2.4m in corporation tax in 2012, but it received £2.5m in government grants during the same period. The company has previously said it made £4.26bn in sales to British customers. Amazon received the grants from Scottish Enterprise, part of the Scottish government, to develop its operations in Scotland and create more jobs.